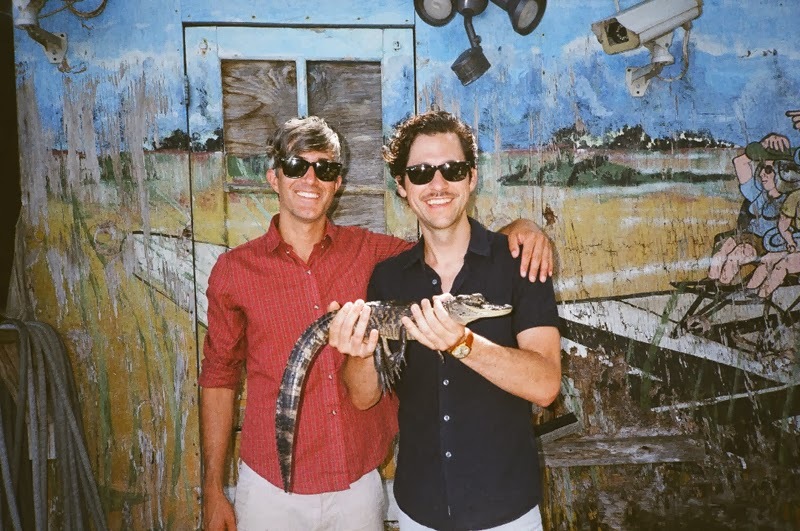 What better way than to kick start a rather sluggish and grey Thursday afternoon than with a brand new single from We Are Scientists. Taken from their forthcoming album 'TV en Français' this latest effort showcases their flamboyant use of energy in brilliant detail. Building from a lonesome kick drum and bassline comes an exuberant Indie-rock anthem that's packed with burning guitars and melodic fills. As the track reaches its dramatic peaks Keith Murray's aspirant vocals become all the more clearer as he displays his dynamic skills. Have a listen above. The band will be touring the UK this March. Find full details below. "We did a demo of it early on, and listened to it incessantly in the months leading up to the actual recording of the album," says vocalist/guitarist Keith Murray. "It’s a real change of pace for us it’s got the usual We Are Scientists obsession with melody and listener gratification, but it feels like a more accomplished, nuanced pop song than the full bore, ecstatic dance rock we’ve been known for in the past." "The song was sort of the turning point in the writing process, for us once this song was in the can, we knew we were going to be okay," adds bassist Chris Cain. "Maybe it’s just the intoxication of having worked a triangle into the song’s breakdown, toward the end, but, damn it, we really hit the nail on the head."